The Future Leader presentations to Dusti-Lee Franchi and Virginia Cleghorn took place at the IAG office in Perth, WA on Friday 17th February 2017. 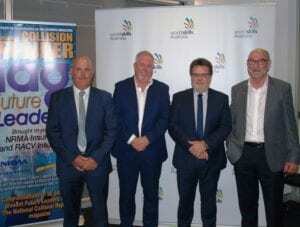 The MC for the event was Stephen Palmer of IAG and guests included Marie Donato (MTAWA), Peter McMahon and Wayne Phipps (Car Craft), Fiona Johnson (WorldSkills), Eddie Fitzgerald (Stokes and Renk Car Craft O’Connor, Van Lam (Fletchers Malaga Smash Repairs) and Toni Franchi (Dusti-Lee’s mother). There were also many of the IAG assessing team in the room to see the presentation. 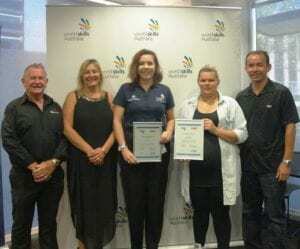 Both Dusti-Lee and Virginia were medallists in the WA WorldSkills Australia competition last year (Virginia won Gold) and also in the WorldSkills Australia National Competition in Melbourne where Dusti-Lee took out the Gold Medal. 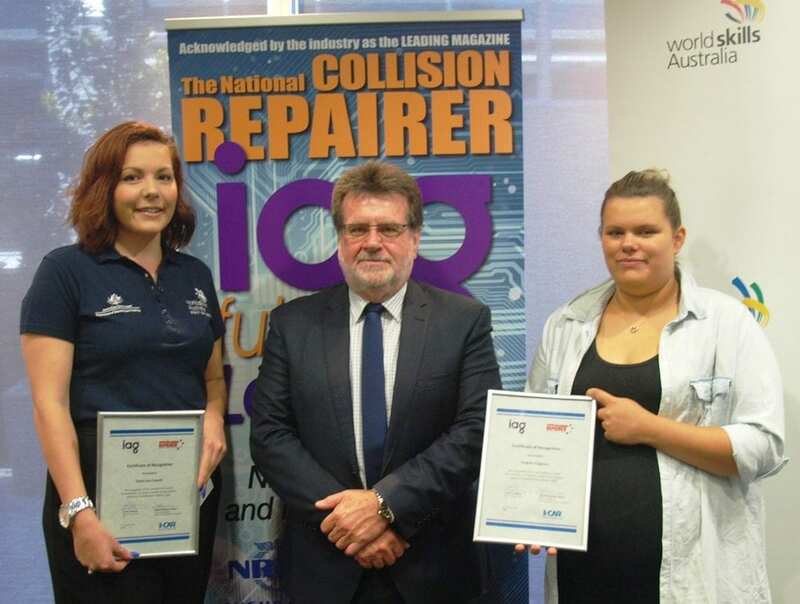 Dusti-Lee will now represent Australia at the WorldSkills International competition in Abu Dhabi later this year. 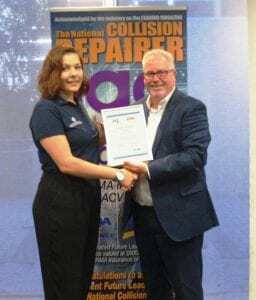 Various speakers congratulated Dusti-Lee and Virginia on their remarkable achievements with Peter McMahon, General Manager of Car Craft Accident Repair Centres presenting the actual awards. Eddie Fitzgerald and Van Lam, the owners of the businesses where Dusti-Lee and Virginia are employed were there to support and applaud their employees. 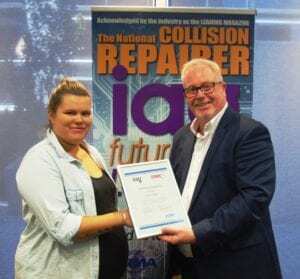 The Future Leader awards have now been made to 31 worthy young people in our industry and the National Collision Repairer would like to acknowledge the continued support of IAG for the Future Leader award program.